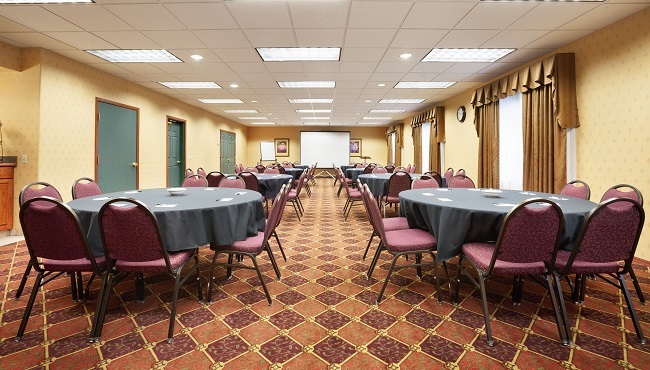 Our meeting room at the Country Inn & Suites, Northwood, IA offers convenient proximity to I-35 and a direct connection to Diamond Jo Casino. Catering services can be arranged through the casino for business meetings or social gatherings for up to 75 guests. Meeting amenities like free Internet and audiovisual equipment enhance any event and keep participants engaged. *Catering is available from Diamond Jo Casino. Please call +1 (641) 323-7772 for menu and prices.